all “capitalists,” reports Campus Reform. “The left has done a good job radicalizing juggalos, weebs, furries, but I will not rest until ‘hXc’ stands for hang+Xterminate capitalists,” the group wrote in an October 4 tweet that has since been deleted. 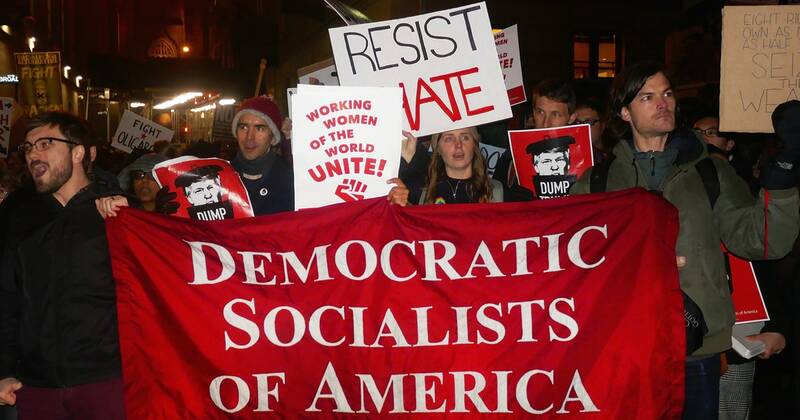 YDSA is an officially registered student organization at the university, making it one that is “consistent with the mission and culture of the university,” according to the expectations for registered student groups. My message to them is the same to AntiFa, AltRighters and other authoritarian scum; "Come and try, you dont have the balls do anything unless a badged orc is protecting you"
"Xterminate capitalists [except those who produce iPhones enabling us to send out this tweet]." According to libertarian theory the "hXc" comment made by YDSA would give non-YDSA students the right to use defensive force to protect themselves. I wonder whether or not ISU would protect that right as they have YDSA's "free speech." Looking at that twitter account, it almost looks like a joke it's so ridiculous... I would believe if that account is just a troll making fun of socialists. I would like nothing better than to use my technical background and organizational ability to construct concentration camps for socialists and liberals and other statist. Let the war begin already. Who is paying the tuition for these morons? Anyone who earns a paycheck is basically a capitalist, and no doubt the parents of these worthless little radical wannabes also earn paychecks. I bet they are so proud of their little snowflakes who will be wards of the state welfare system for the rest of their worthless lives. As for me, I was a capitalist all my life, but now at 62 I collect SS payments, get free health care and fuel assistance, and I am actively taking back as much of my tax money as I can. I am nobody's fool. If they want to come get me, they will be shocked by a very nasty surprise considering my CC permit and gun collection.